My annual birthday custom typically included anticipating a sumptuous meal with my husband, opening thoughtfully presented gifts from my four lively teens, lunching out with treasured friends stretched casually over several weeks' time, and savoring the largest section of the most decadent chocolate cake ever conceived. So as my 45th birthday drew near, there were myriad activities I should have been looking forward to, but I wasn't. In truth, the very thought of commemorating this previously ritually joyous event made me even more depressed. Depressed? Did I mention the word depressed? Couldn't have...not me. Not the "I'm always in control of my subdued emotional persona" type, which I had effectively portrayed to the world for the past forty-four years of my existence. Why did I find it so painful to face the truth of my current predicament? The depression was triggered by a simple elective shoulder surgery. Something transpired within my psyche during those subsequent post-op days that sent me spiraling into a black, obscure night of the soul. The worst aspect of this terrifying, albeit temporary experience, was that I felt powerless...utterly helpless...and entirely alone. Although I never, ever, would have anticipated reacting so dramatically to an elective surgical procedure, I had to face up to what happened to me during those early post-surgery weeks. If I had been privy to an outsider's unbiased observation of my inner-emotional workings, I would have clearly declared that the woman in question (me) was undoubtedly depressed. Yet I couldn't name it so at the time. I was too ashamed; too humiliated by this debilitating label...in fact, I was horrified that others, including intimate family and friends, would come to the same conclusion that I secretly feared. I was not in control; rather, I was so emotionally out of control that I worried my mind was coming unhinged. Having never experienced such drastic fluctuations in my emotional state before, I didn't recognize the symptoms of depression. True enough, I wasn't sleeping.... enduring continual shoulder pain for weeks on end will inhibit even the best sleeper from gaining daily needed rest. I had also stopped exercising for a solid month post-surgery, something I've never done in my entire adult life. This too, may have contributed to how off-kilter my body felt. Most significantly, most terrifyingly, it was as though someone was pinning me against the wall...and no matter how mightily I struggled, I couldn't break free. It was in this skewed frame of mind that I unwisely began contemplating life.... my faith, my marriage, my work, and my future. Pondering the past, present, and future through these murky lenses was not smart. This habit alone increased my sense of despair, my lack of hope. Thankfully, I had outside support or I may have begun believing that things really were hopeless. Because my family and friends continued to speak positive words of truth, accurately assessing my life, indeed my very person, I was able to heed that small, still-sane, voice in me that continued to resist these negative mind-speaks. It was in a battle to be sure - one that I fought hour by hour. Often, I found myself placing a desperate telephone call to a trusted friend for perspective, to vent, to question, and for prayer. Now I can see that some of the most helpful advice I received during those darkly tenuous post-op weeks, were the suggestions to care for my physical body, to treat myself with a tender care, and to allow myself generosity of forgiveness, and time.... lots of time to rest, recover, and rejuvenate. Admittedly, I felt as though I was spoiling myself adhering to such loving counsel...but after a bit; I realized my friends were right. And wise. My body needed a quiet period to heal...it was up to me to see that I made the right choices to allow this to happen. When I met with the surgeon after my operation, difficult as it was, I briefly explained my emotional tailspin. With a prescription for a sleep aid in hand and some fresh determination, I left the office feeling a bit more ready to proactively heal in the most "stationary" sense of the word. Sleep eventually became a blessed respite and my outlook improved dramatically. Daily exercising helped me "work out" some of the doldrums as well. I ate with authority.... meaning with full intention of building nutritious food stocks into every meal. And...I continued to lean on my family and friends, for conversation, for hugs, and for simple caring. It took a full three months before I realized I was "me" again. Even then, every once in a while, when I grew especially tired or stressed, I felt that ominous dark cloud begin to dodge my steps. So, I would retreat a bit from life's busyness, rest some more, and relish everyday simple joys. Who could have foreseen that during one of the most productive and most satisfying periods of mid-life that a simple elective surgery could wreck such emotional havoc? Certainly not me. Like many other women, I failed to take into account all of the life stresses that I'd endured in previous months, which included primary care giving for not only my own busy family of four teens but also an elderly relative whose chronic health problems intensified my work load. Other life factors, both positive and negative, such as losing close friends to cancer, job transitions, the decision to change churches, to celebrating the graduation of a child all played a part in the everyday lifestyle stresses I faced in recent months. I recall thinking to myself prior to having surgery, one more stress (having surgery) won't make any difference. But it did; it was the last and final straw before my body said, "No more," loudly enough for me to listen. I wish mine were an isolated case, yet countless other women have experienced similar uncontrollable responses to their own "mid-life triggers" into depression. Sadly, it can come by way of trying to take care of one's physical body. 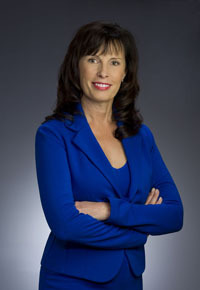 In the course of his practice, orthopedic surgeon, Dr. Christopher A. Foetisch, Toledo, OH, has noticed that mid-life women sometimes enter the office already depleted by life's stresses and then surgery tips them over the edge and while this may occur in only 5-10% of female patients, for these women the onset of depression is emotionally devastating and completely unexpected. Also, most commonly prescribed pain medications derive from the opiod family of drugs whose side effects are "depressant" in nature - simply taking the necessary pain medications post-operatively may exacerbate symptoms of an already existing case of depression. Consider the patient who is currently struggling emotionally and then begins experiencing occurrences of headaches, loss of appetite, restlessness, mental sluggishness or sleep disturbances as a result of taking prescribed pain meds. Mid-life women are all too often literally sandwiched betwixt and between their partners, children, parents, friends, and colleagues' needs and expectations thus forfeiting their own health in the process. At some point, every woman must take the time to carefully assess her life with tempered realism. Otherwise, the sudden and frequently devastating onslaught of depression may render her incapable of functioning and feeling utterly hopeless. By exploring some common mid-life depression triggers, women can be better equipped to handle seasons of depression and emotional tension. Job promotions, weddings, vacations, even the most coveted of life's milestones can precipitate short-term depression in mid-life women. Surprisingly, many women don't realize how much emotional toll these beneficial experiences can take on their mental and emotional psyche. As with everything in life, balance is key. Realistic planning is also highly recommended for all women, no matter what their age or station in life. Family emergencies, extended care-giving responsibilities, financial upsets, unresolved relational issues, childcare dilemmas, and workplace challenges...are part and parcel of most women's daily lives. Long-term perspective is a must, coupled with a strong support group of fellow travelers who can provide empathy, care, and unconditional acceptance. Enlisting (and lending) anticipated help before the next major landslide of distressing events is especially crucial at this period of mid-life. Sadly, many mid-life women neglect their health by avoiding regular check-ups with the family doctor, gynecologist, dentist, and ophthalmologist, not recognizing how quickly most delineations from former good health can be detected and corrected. Simply showing up can make a difference. Women especially need to be checked for ever-changing levels of hormones; informed about how their current meds will affect their bodies and emotions; and what signs to be on the watch for according to their particular family health history. As women age, regularity in habits and scheduling becomes increasingly important. The body will respond to even the simplest minor alterations in your good health habits. Discover the least resistant path to consistently exercise, eat healthily, and sleep effectively - and make these habits a priority. Striving for excellence is exemplary...expecting perfection is counter-productive. All of life is riddled with imperfection, brokenness, and frailty. It is the wise woman who does what she can to make a positive difference. Wiser still, is the same woman who understands she cannot fix every thing, person, or situation...and she makes peace with that fact. Prudent women recognize healthy boundaries that include immediate family and close friends. Surround yourself with people who support your efforts, stand by your decisions, and are ready to offer assistance when required. Have the courage to distance yourself or even end ties with individuals who diminish the woman you seek to become or pressure you to compromise on your core values.